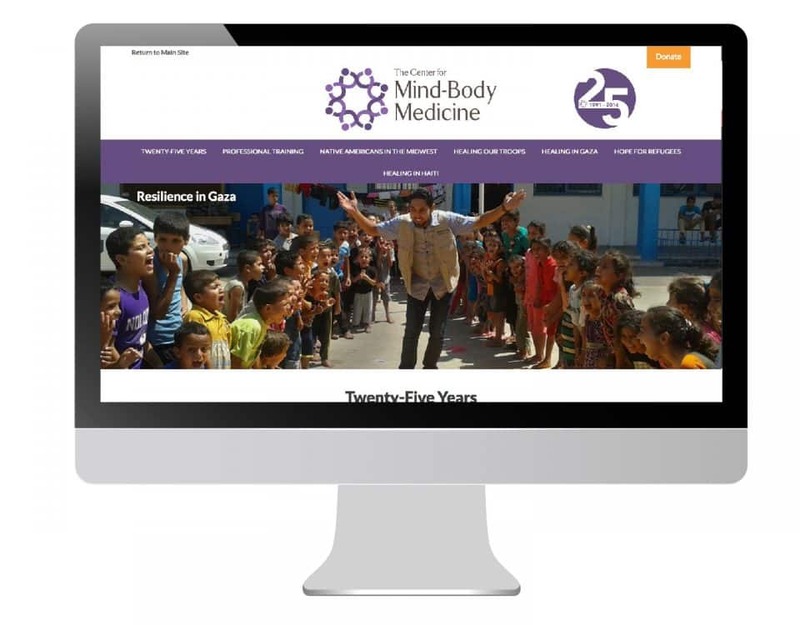 To commemorate their twenty-five years of work teaching thousands to heal millions, the Center for Mind-Body Medicine created a mini-site that accompanied a successful end of year fundraising campaign. Special pages were created for their professional programs, work in Gaza, work with Veterans, suicide prevention in Native American communities, post-disaster trauma relief for the people of Haiti, and their work to provide self-care techniques for Syrian refugees living in Jordan. A special website to just showcase the work of the Center for Mind-Body Medicine and to raise money for the work.